The ewok costumes from Return of the Jedi were created with sponge body suits to give the correct contours of the ewok bodies before applying the fur. This is a body suit for Paploo, the ewok played by the actor, Kenny Baker. Paploo is the Ewok who steals the speeder bike from the Biker Scouts as the Rebels begin their assault on the bunker. 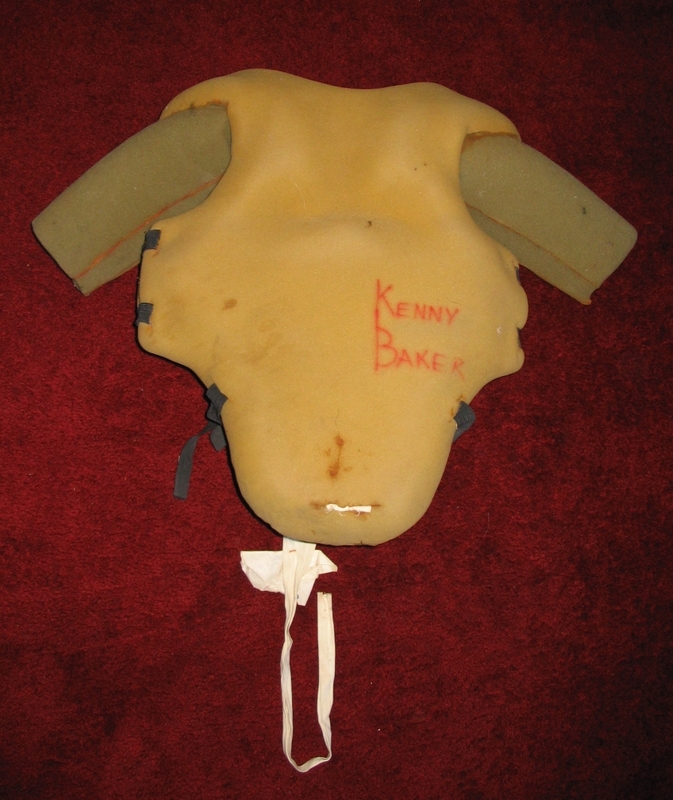 On the back and front of the costume, you can see Kenny's name written in red marker. 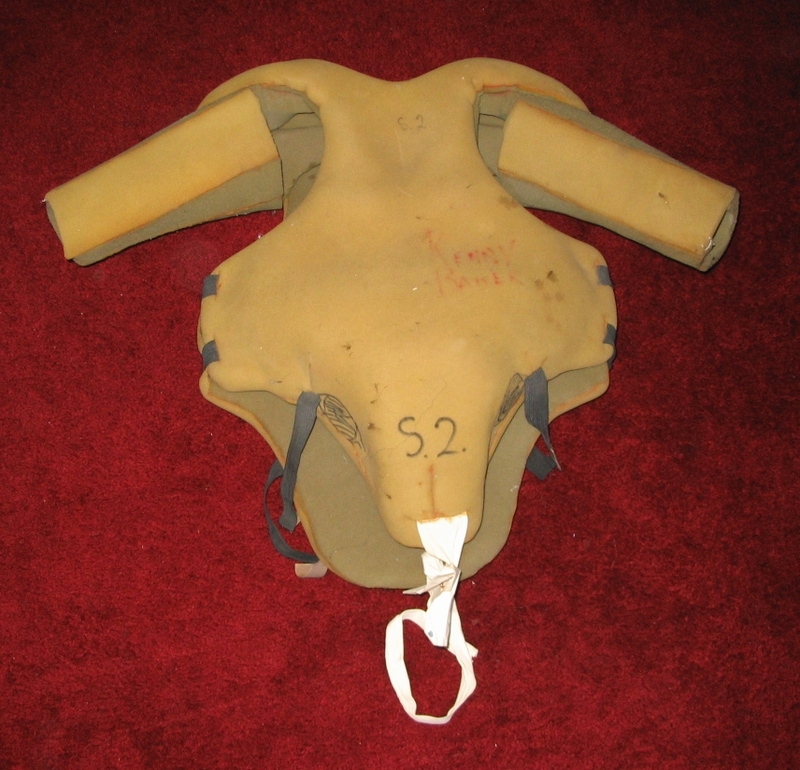 The body suit has cloth and velcro straps to fasten it. Each suit was custom tailored for each actor. The suit is also labelled as "S. 2.". 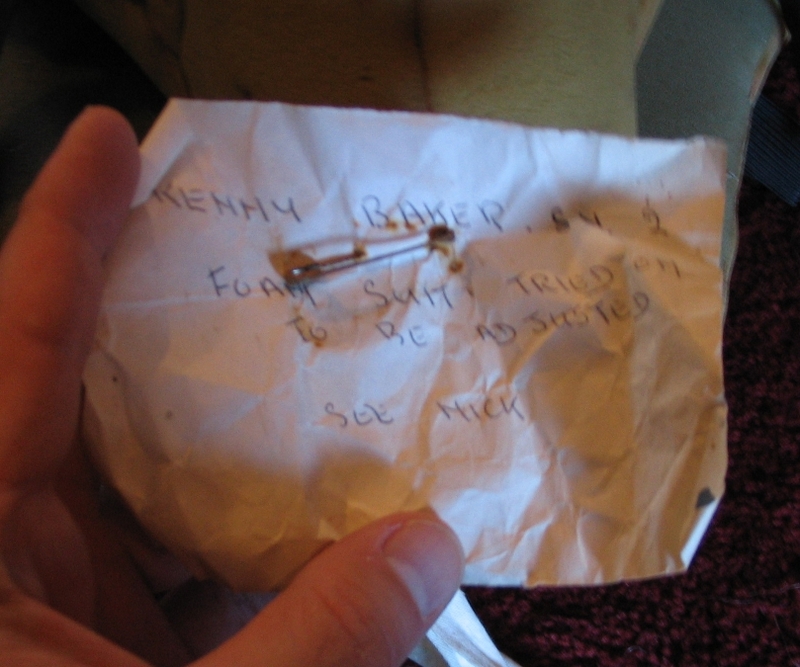 The note attached to the bottom of the suit reads: "Kenny Baker, S. 2. Foam Suit. Tried on to be adjusted. See Nick".